YOKOHAMA, Japan -- Nissan says its push to improve profitability in the crucial U.S. market is taking more time and money than expected as it struggles to rein in marketing expenses at a time when overall demand has peaked, and customers are increasingly looking for deals. North American operating profit climbed 13 percent in the company's most recent quarter, the automaker said in a statement. But Chief Financial Officer Hiroshi Karube said the automaker was aiming higher. "In terms of overall profitability, we had hoped we could reach a higher level," Karube said on Thursday while announcing a 21 percent decline in global operating profit in the July-September period. "Nissan is trying to rectify things we didn't do well in the past. As such, we are taking more time than we expected. Or we are spending more cost than we expected," he said. Karube said there is only so much Nissan can do against stagnating market demand. "We don't have a magic wand," he said. "We will steadily work on improving brand value, make the products better, make the distribution network stronger. That's what we are doing." Nissan did make progress cutting incentives and inventories in company's fiscal second quarter ended Sept. 30. But the improvements still were not enough to offset the hit from lower wholesale volume, unfavorable foreign exchange rates and rising raw material costs. Global operating profit fell to 101.2 billion yen ($890.2 million) in the fiscal second quarter ended Sept. 30. Net income declined 7.9 percent to 130.4 billion yen ($1.25 million). Revenue decreased 2.6 percent to 2.82 trillion yen ($24.81 billion), as worldwide retail sales dipped 0.7 percent to 1.37 million vehicles in the three-month period. Nissan's results were hit by the Japanese yen's appreciation against the U.S. dollar and other currencies. Exchange rates took a 30 billion yen ($263.9 million) bite out of quarterly operating profit, while rising raw material costs dented results by 26.9 billion yen ($236.7 million). Deteriorating wholesale volume and mix also undercut quarterly operating profit by 7.2 billion yen ($63.3 million), amid sliding sales in North America, the Japanese automaker's No. 2 market. Global wholesale shipments, upon which parent company earnings are based, declined 10 percent in the three-month period as Nissan trimmed global inventories and bring supply in line with demand. In the U.S., for example, Nissan is trying to streamline its retailing model by reining in marketing and selling expenses, trimming excess inventories and dial back fleet sales. CEO Hiroto Saikawa is trying to pivot the company away from profit-draining fleet sales and incentives in the U.S. in an attempt to shore up brand value and margins. Saikawa has said Nissan is prepared to sacrifice some volume to bolster margins. Last spring, the company began pulling back fleet deliveries, culling bloated inventories and easing pressure on dealer sales-incentive programs, even as the U.S. light vehicle market softens. An influx of new or redesigned models has helped Nissan wean itself from incentives. Fresh offerings arriving this year include the Kicks subcompact crossover, the Infiniti QX50 crossover and the redesigned Altima sedan. Incentive spending at the Nissan and Infiniti brands declined 3.5 percent to an average of $4,018 per vehicle for the year through October, according to figures from Autodata Corp.
That bucked the industry trend, which saw a 3.1 percent increase in per-vehicle spending. But Nissan's outlays were still above the industry average of $3,734 per unit. By contrast, U.S. spiffs at Japanese rivals Toyota, Honda, Mazda, Subaru and even Mitsubishi were all below average for the first 10 months of the year. Karube conceded the campaign to reel in U.S. incentives was still an ongoing battle. "We are not there yet," he said. "We have to do more." At the same time, Nissan North America has been whittling down U.S. inventories. Vehicles stocks declined to a 53-day supply in October, from 67-day backlog in September and 86 days a year earlier, according to the Automotive News database. On Oct. 1, Nissan had 259,500 vehicles in inventory in the U.S., down from 335,600 vehicles in October 2017. Nissan said it slashed U.S. inventories by 54,000 vehicles in the fiscal first half and by 26,000 units in the past three months. Current inventory stands at 260,000 units, Karube confirmed. 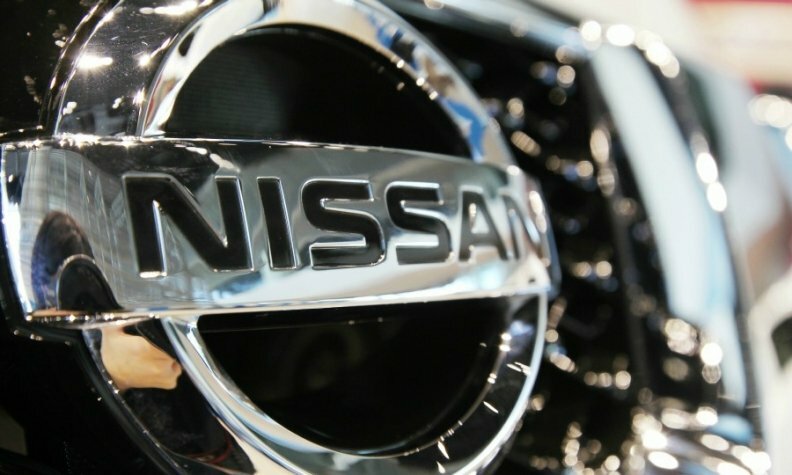 Retail sales in North America declined 8.4 percent to 460,000 vehicles in the quarter, while regional operating profit improved 13 percent to 36 billion yen ($316.7 million) as Nissan lowered incentives and rolled out redesigned models. Operating losses in Nissan's European unit, meanwhile, widened to 12.2 billion yen ($107.3 million) in the fiscal second quarter, from an operating loss of 2.5 billion yen ($22 million) the year before. European sales declined 12 percent to 168,000 vehicles in the three months. Nissan kept its outlook unchanged for the current fiscal year ending March 31, 2019. It predicts operating profit will decline 6 percent, undermined mostly by deteriorating foreign exchange rates. Net income is seen falling 33 percent. Global sales are forecast to increase 2.7 percent to 5.93 million vehicles.